You can discover a real family´s paradise in Koessen in Tyrol. 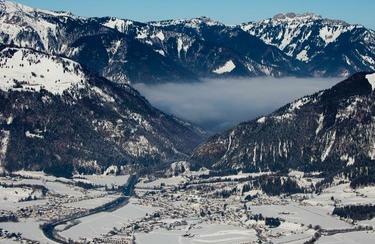 The easy pistes in the ski region Kaiserwinkl invite big and small ski fans to glorious slopes. Eleven modern lifts and numerous service facilities, such as the ski rental of INTERSPORT Rent in Koessen, ensure convenience during your ski holiday. Here, you will receive best advice if you have questions on the subject of winter sports. Skiing in the middle of the breathtaking panorama of the Kaiser mountains - this is offered by the winter sport resort Kössen at 600 to 1.700 metres above sea level. 30 kilometres of pistes, mainly easy to medium level, are accessible. Eleven modern lift facilities and cable cars make sure that will you reach the peaks quickly and safely. The offer of pistes in Koessen is especially appealing to families with children. In the Sunny Kids Park, the dwarfs of the pistes will learn - under professional guidance - to stand stable on skis or board before they swish down the gentle hills to the valley with the whole family. INTERSPORT Rent offers particularly fair ski rental deals for the little ones: children up to 10 years rent their equipment for free, if both parents rent a complete ski equipment. Children up to 14 years only pay half. 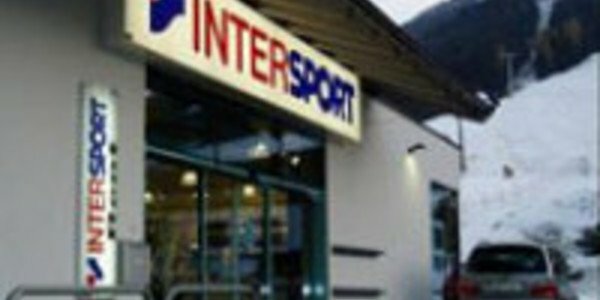 Obtain advice at INTERSPORT Rent in Kössen! The dedicated team is at your disposal, whether you are looking for the proper equipment or you need insider tips for your ski vacation in Kössen in Tyrol.